I was not aware until late in the day yesterday that it was Colorado's birthday! On August 1, 1876, President Ulysses S. Grant signed a proclamation admitting Colorado as a state. 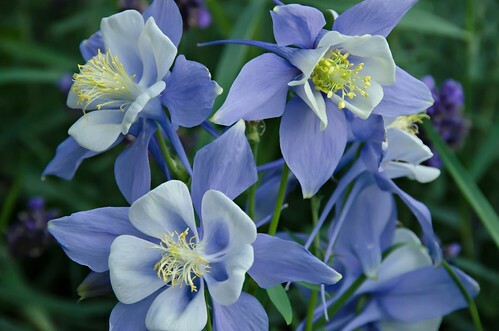 We are known as the Centennial State, and the Columbine is the state flower. These are appropriately blooming in my garden right now!